Dortmund - Borussia Dortmund have extended the contract of their head coach Jürgen Klopp and his leading backroom staff until 2018. The charasmatic coach has penned a new two-year extension to his previous deal, which was up for renewal in 2016 after being extended only last year. His assistants Zeljko Buvac and Peter Krawietz have also signed a new two-year deal. “Since you should never separate something which belongs together, we’ve extended the contract of our head coach and his team once again,” said Dortmund's CEO Hans-Joachim Watzke. The move demonstrates the faith the club shows in a man they appointed over five years ago, while emphasising the reciprocal affection. “We’re all still a bit in love with this club and the way in which things are developing here,” said Klopp, who guided the Westphalian club to the the UEFA Champions League final last season having led them to a league and cup double in 2012, a year after sealing their first Bundesliga title since 2002. "We want peace in order to plan the future of this beautiful club together." This season, Dortmund are just a point behind FC Bayern München at the top of the standings and in a three-way tie for top spot in their Champions League group, alongside Arsenal FC and SSC Napoli. "Jürgen represents the further development of this club. 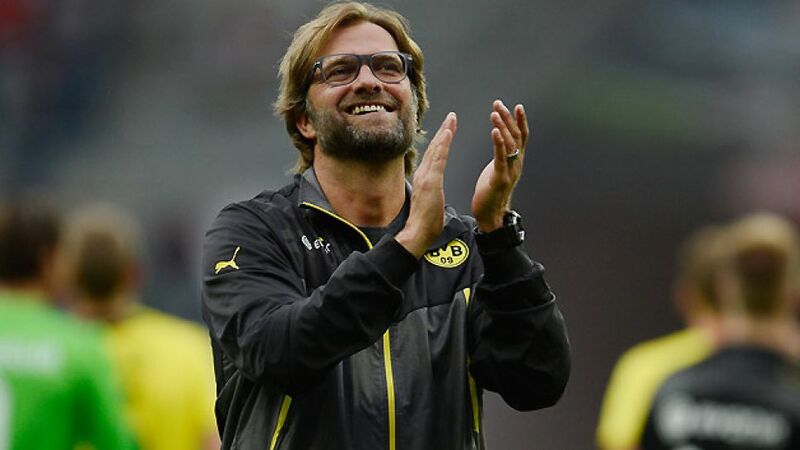 He’s the perfect coach for Dortmund,” said the club’s sporting director Michael Zorc.